In Meg Ryan’s directorial debut, she directed and starred in a film called Ithaca, based on Armenian American William Saroyan’s novel titled The Human Comedy. This year at the Sonoma International Film Festival (SIFF) in Northern California, Meg Ryan will be honored with a Sonoma Salute Award at a tribute event on Thursday, March 31. The event will begin with a screening of Ithaca at 3:30 PM. 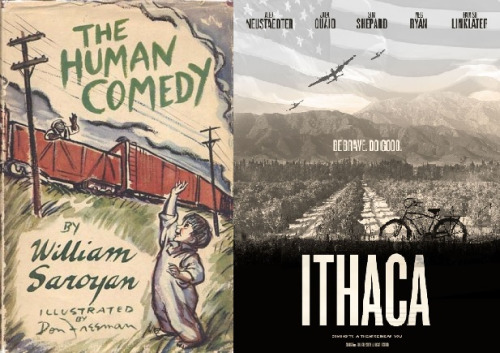 Ithaca will be featured at SIFF, which kicks off on March 30 and runs through April 4. In the 19th year of SIFF, nearly 200 filmmakers from around the world are expected to attend. The film festival will feature more than 90 hand-selected films including independent features, documentaries, world cinema, and short films. The Festival is dedicated to promoting independent film, supporting filmmakers around the world and inspiring film lovers.